Two leading Regional firms have advised the shareholders of Llewellyn Smith Limited, the market leader in providing compliance based services to domestic energy efficiency installations, on its sale to the Servest Group. Bury St Edmunds headquartered Servest Group, is one of the UK's largest facilities management service providers. 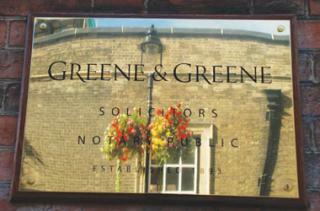 The team at Greene & Greene Solicitors was led by Simon Ratcliffe, a partner in the Corporate team in Bury St Edmunds, who was closely supported by solicitor Andrew Cooper and Commercial Property Partner Neil Grigg. The Ensors team was led by Corporate Finance partner David Scrivener. David was supported on the deal by Robert Leggett, specialist transactional tax partner. Llewellyn Smith’s compliance services are an integral part of the Government’s Energy Companies Obligations scheme. Its reports recommend energy efficiency measures to households, as well as providing Technical Monitoring. Founded in 2002, the company operates from Bury St Edmunds in Suffolk, but its inspectors and Chartered Surveyors reside nationwide, enabling the business to offer national coverage. Simon Ratcliffe of Greene & Greene commented: "We are very pleased to have helped the shareholders of Llewellyn Smith through this process and in joining the Servest Group. We wish David and his fellow directors all the best for the future and are confident that the business will continue to thrive as part of this diverse group of companies." This transaction follows both Greene & Greene and Ensors’ involvement in advising David Llewellyn, Terry Bentley (both of Llewellyn Smith) and the other shareholders on the sale of Solutions 4 Energy Ltd to a competitor in 2010.